No-see-ums, also known as biting midges depending on where you’re from, are teeny tiny gnats that you can hardly see but you will most certainly feel its presence. These are the blood-sucking pests that will drive a sane person mad in a mere 10 minutes. Although a fraction of the size of a mosquito, their bite will often leave a greater itch that lasts a lot longer. And because they are hard to see, you usually do not know they are there until it is too late, hence the name “no see ums”. So what are these no-see-ums, exactly? Noseeums are flying insects from the Ceratopogonidae family which include over 4,000 species. They are similar to gnats, only they leave their mark in the form of a bite. The males and females alike feed on nectar; however, the females are the only ones that feed on blood in order to draw proteins for their fertilized eggs. It is also believed, like mosquitoes, they are attracted to the CO2 emitted by humans. The best noseeum defense is a good offense. Get them before they get you! No-See-Um Bugs- Where Do They Reside? Noseeums are found throughout the world but primarily in tropical and subtropical areas, as well as the Caribbean and particularly Florida. In fact, there are 37 different species alone just in Florida. They are a major nuisance to those that tend to spend a lot of time outdoors, particularly at dusk and dawn. Ask any fishermen, hunter, gardener or farmer about no-see-ums and you can be sure they have had more than their fair share of experiences with these annoying pests. They tend to congregate around moist, muddy and swampy environments, but don’t think that means you won’t find them elsewhere. Unless you plan on moving to the North Pole, they are nearly impossible to escape. How to Get Rid of No-See-Ums? This is probably the reason you are here. 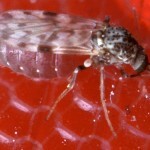 If these biting midges are practically everywhere, how is one to escape or keep them from coming around? While eliminating them is nearly impossible, there are steps you can take to prevent them from coming around. If at all possible, remove any standing or still water from your yard, including bird fountains or puddles of water that have collected from the rain. If you cannot remove the water, treat standing water. Screen-in and secure your patio, porch or pool area as well as your windows to keep them from getting to you. Although this does help to cut back on the number of noseeums, it still will not eliminate them. You’ll want to use screen specifically made for noseeums, as most screen mesh is too large to prevent noseeums. 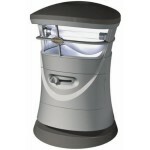 Cover your skin when you will be outdoors for any length of time, especially at dawn and dusk. Wear jeans and long sleeves, as well as socks and shoes to avoid itchy, red bug bites. Use an insect repellent. 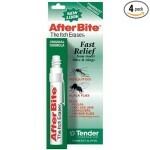 While DEET is the best repellent for the job, use it with caution and don’t use too much. 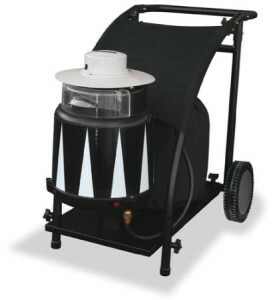 There are also natural repellents that can help but are often not as effective. 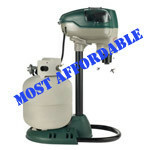 The most effective way to keep noseeums away is to use a propane mosquito trap. 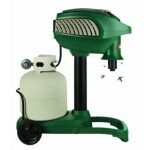 Propane mosquito traps emit CO2 gases to mimic humans and lure the noseeums in and then trap them (also used for mosquitoes). While these are the most effective, they are also the most costly. 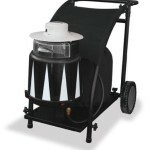 It’s also important to understand mosquito trap placement if you go this route. 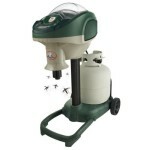 Many also choose to treat their yard several times a year when they are outside most often. This could be done with a chemical spray as well as using a noseeum fogging machine. Avon Skin So Soft is a very popular form of noseeum repellent. The use of this is especially common in the South East US. DEET-free and PABA-free insect repellent. SPF 30 sunscreen lotion provides moisturizing protection with aloe and vitamin E. It is a non-greasy formula in a gentle breeze scent makes it suitable for the entire family. Avon’s Skin So Soft Bug Guard Plus is a DEET-free Picaridin Mosquito Repellent that repels Zika mosquitos, deer ticks, gnats, no-see-ums, sand flies and biting midges. 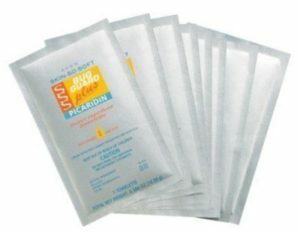 The convenient towelette packet design makes these easy to throw into your backpack, diaper bag, purse, and luggage and are not counted as a liquid in TSA guidelines and is treated like sanitizing wipes at the airport. This product was specifically developed when the US Department of Defense tasked researchers to create a safe to use, long lasting, yet effective pest control solution for the US Troops in the Middle East during the Gulf War to use. The sand fleas (sand gnats, no-see-ems) were creating misery for the troops. Greenbug created this all natural, earth-friendly, and DEET-free formula and it is available for you and your family to use. 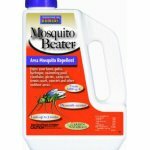 This natural bug repellent and bug killer serves as a mosquito repellent, flea spray, tick killer, no-see-um repellent, gnat killer, mite killer, chigger repellent, fire ant killer and more. Cedar oil is the active ingredient which has been tested and proven to cause no harm to humans, animals or the environment making it safe for babies, children, adults and even cats and dogs. When pests are exposed to the aroma of cedar, they do everything to get away. Pests that react to scents have a biological reaction to the aroma of cedar which shuts down their breathing pores and causes them to die. Environmentally friendly this formula is even safe for the already extremely important endanger honeybees and butterflies. 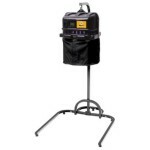 It is safe to be used on clothing, furniture, carpet and other home materials. The travel approved size makes it a great travel companion that you can spray on hotel sheets and even your luggage for bed bug protection. Another helpful use such as head lice repellent by spraying your child’s hair, backpack, clothing, and bedding. 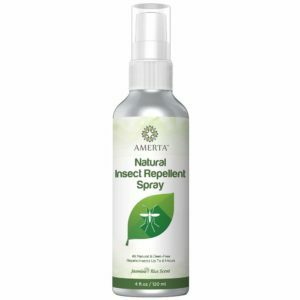 All natural and DEET-free, this insect repellent spray is effective for mosquitos, gnats, fleas, no-see-ums, bedbugs, lice, cockroaches and other bugs that like to nibble. The recipe of ingredients used to make this natural insect repellent spray contains no synthetic toxins making is safe to use on children (older than 6 months), adults, pregnant women and even pets. Fragranced with a pleasant jasmine rice scent, it is non-greasy, non-sticky, non-streaky, non-GMO, vegan and cruelty-free and provides up to 6 hours of reprieve. 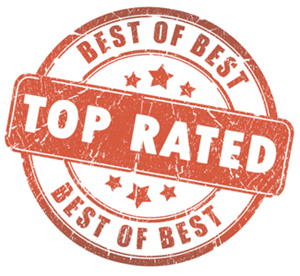 AMERTA even makes a 100% Money Back Guarantee. Another solution to keep gnats and no-see-ums away from you is a product that was never intended to be a bug repellent but as a fragrant body mist. Calgon Morning Glory Body Mist is a local’s secret defence when dealing with these pesky flying pests. Morning Glory is a light, clean and sweet scent reminiscent of a gentle spring breeze flowing across a field of flowers on a spring day. It is a non-sticky body mist and with special skin silkeners infused into the spray, it leaves your skin soft, smooth and touchable. Noseeum bites are painful and inevitable, as much as we try to avoid them. So, what will happen if you do get bit and how should you treat it? No see um bites will likely leave a red, itchy bump on your skin that will have you wanting to give yourself a rub down with sandpaper. It is possible they could lead to a rash, or even hives if you are allergic, so keep an eye on them. The best way to treat them is to apply a topical steroid or take an oral antihistamine to remove the itch and inflammation. Some find success with Caladryl. The itch is only temporary and the lesion will heal within days, although sometimes it may take weeks. While the transmission of diseases is rare, it is not impossible. If you notice anything out of the ordinary, the bite becomes infected or starts to spread, you should consult your physician. Do Mosquitos Have Teeth? How Many? How Long Do Mosquito Bites Itch? 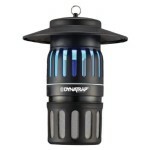 Mosquito Light Trap, Do They Work?